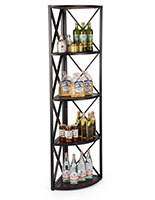 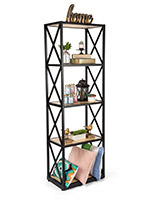 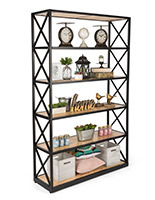 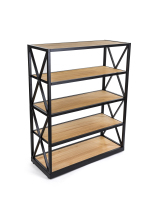 These etagere X shelves create a merchandising fixture with that vintage industrial appearance you've been striving for. 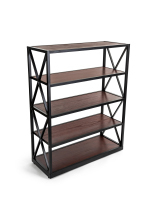 Paulownia wood stained with a dark brown finish adds rustic modern styling to the durable steel frame. 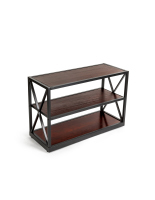 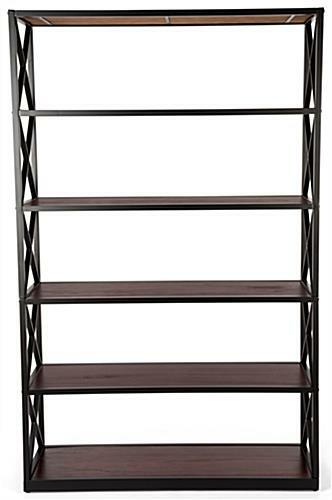 The etagere X shelves with floor levelers make a wonderful addition to your home or retail business. 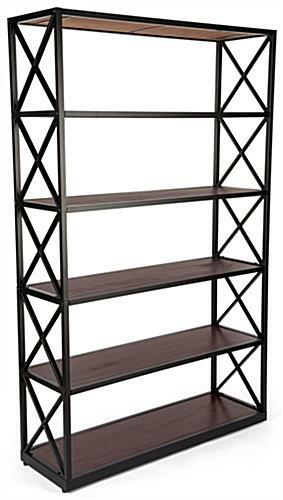 A durable steel frame softened by the stained wood creates an inviting vintage industrial feel for this 6-tier display. 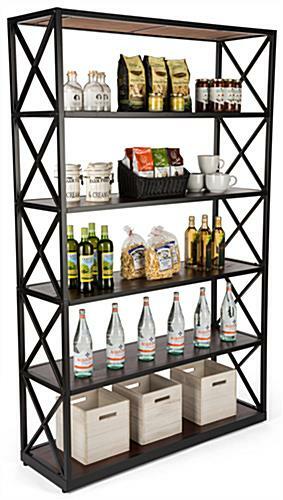 Use in your retail store to hold apparel, food items, electronics, and other hot merchandise. 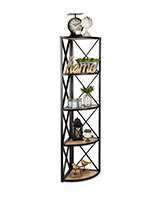 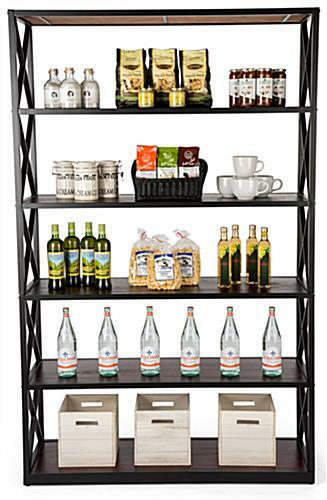 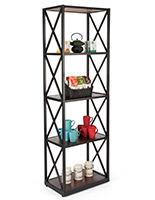 These etagere X shelves with rustic modern styling help create a warm and inviting environment for your visitors.